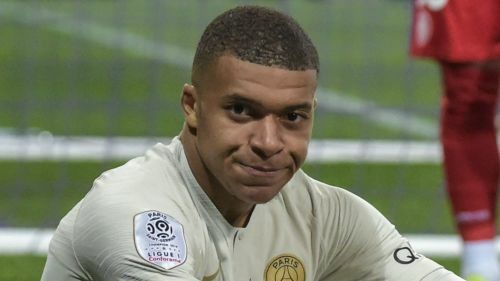 Kylian Mbappe criticised Paris Saint-Germain's personality in their humbling 5-1 rout at the hands of Lille, adding the Ligue 1 champions "played like beginners". It was a forgettable night for 10-man PSG were humiliated by second-placed hosts Lille at Stade Pierre-Mauroy, where the club's expected title celebrations were emphatically postponed. Juan Bernat – who equalised after Thomas Meunier's own goal gifted Lille the lead – was sent off in the first half, which already saw Meunier and Thiago Silva succumb to injuries. Reflecting on capitulation, PSG star Mbappe told Canal+: "We'll be champions eventually but when you lose you have to lose in a certain way. "You do not want to lose personality like that, [concede] three, four, five. That was not normal. "It's one of our faults, I think. We'll have to fix it quickly. It really is nothing else. "Football is played on a field. Today we played like beginners. We must regain focus, there is a game on Wednesday, but I think we must stop losing like that "